All contents of this website are © 2019 Firstlight Broadcasting Network. All rights reserved. The information, products and services published on this website may include inaccuracies or typographical errors. Changes are periodically added to the information herein. 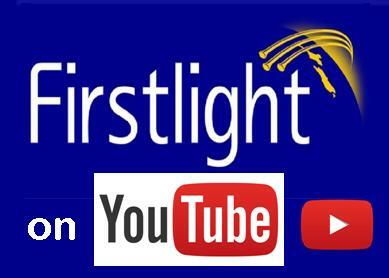 Firstlight Broadcasting Network may make improvements and/or changes in this website at any time. Firstlight Broadcasting Network makes no representations about the suitability of the Information, Software, Products, and Services contained on this website for any purpose. All such information, products and services are provided “as is” without warranty of any kind. Firstlight Broadcasting Network hereby disclaims all warranties and conditions with regard to this information, products and services, including all implied warranties and conditions of merchantability, fitness for a particular purpose, title and non-infringement. In no event shall Firstlight Broadcasting Network be liable for any direct, indirect, punitive, incidental, special or consequential damages arising out of or in any way connected with the use of this website or with the delay or inability to use this website, or for any information, products and services obtained through this website, or otherwise arising out of the use of this website, whether based on contract, tort, strict liability or otherwise, even if Firstlight Broadcasting Network has been advised of the possibility of damages. As a condition of your use of this website, you warrant to Firstlight Broadcasting Network that you will not use this website for any purpose that is unlawful or prohibited by these terms, conditions, and notices. This website may contain hyperlinks to websites operated by parties other than Firstlight Broadcasting Network. Such hyperlinks are provided for your reference only. Firstlight Broadcasting Network does not control such websites, and is not responsible for their contents. Firstlight Broadcasting Network’s inclusion of hyperlinks to such websites does not imply any endorsement of the material on such websites or any association with their operators. 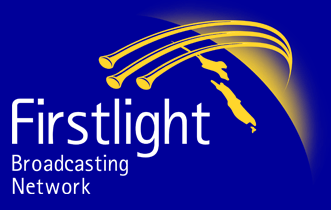 Firstlight Broadcasting Network reserves the right to change the terms, conditions, and notices under which this website is offered at any time. You agree that no joint venture, partnership, employment, or agency relationship exists between you and Firstlight Broadcasting Network as a result of this agreement or use of this website.